Under the Flipkart, big billion day sale Flipkart provide Exchange offers exchange your old phone for a great price(Phone physically damage not acceptable on the exchange offer). No cost EMI on Leading Bank Debit and Credit Cards.No cost EMI on Bajaj Finserv Cards. Also, offer Debit card EMI. 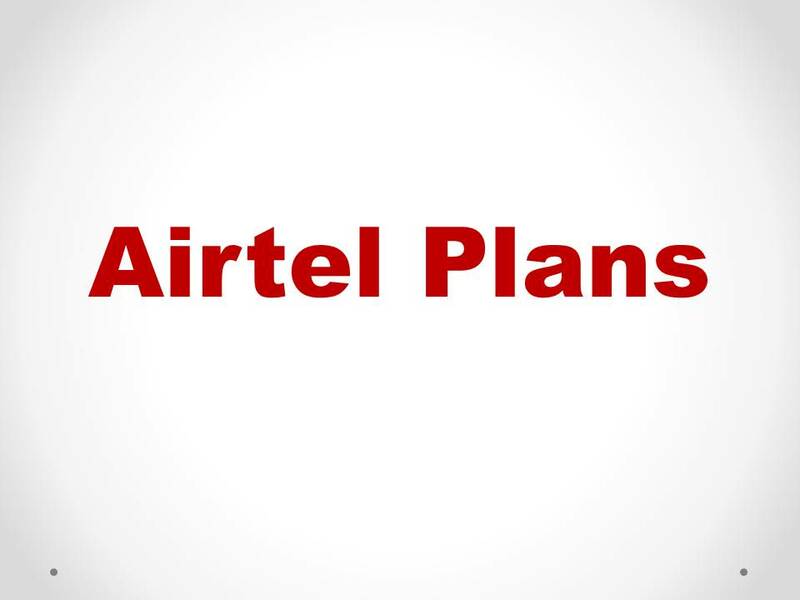 Additionally, Flipkart offer “EXCLUSIVE LAUNCHES ON” flagship mobiles, premium mobiles, mid-range mobiles, budget mobiles.Apart from discount, Flipkart will offer a comprehensive protection plan for your smartphone starting at Rs.99. Complete mobile protection with phone theft coverage.Issues covered under the complete mobile protection. up to 80% off on Smart devices and more between 10th-14th October. 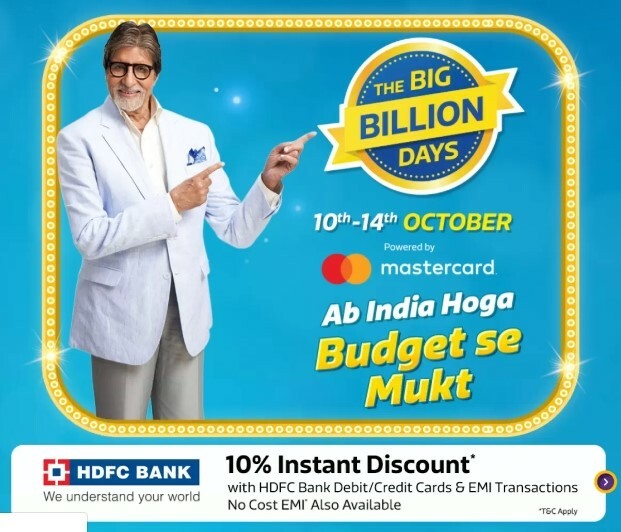 and 11th-14th Flipkart will offer up to 80% off on Gadgets and accessories.Flipkart also gives some extra off.10% off only on 10th OctRs.1000 0ff on purchases worth Rs.5000Also get 10% cashback on payments via Phonepe. Flipkart pay later. 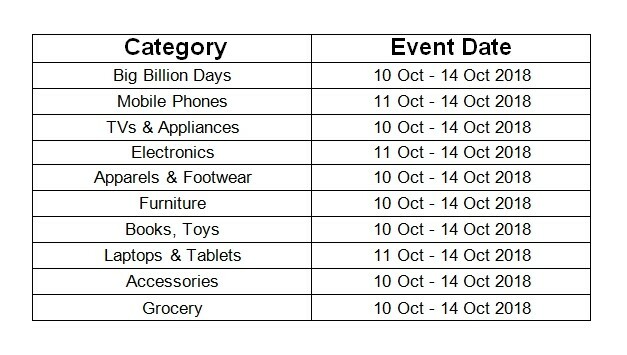 Below Table show you how the Flipkart Big Billion Sale 2018 working between 10th-14th OCT 2018.